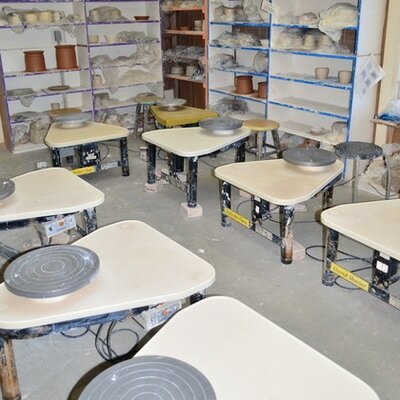 Fire Arts offers wheel throwing and handbuilding classes quarterly. There are evening and day classes for adults. We also offer classes for children from 4-12 years old. Classes are held in our well-equipped studio. 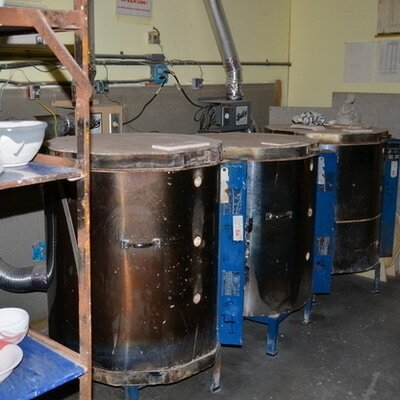 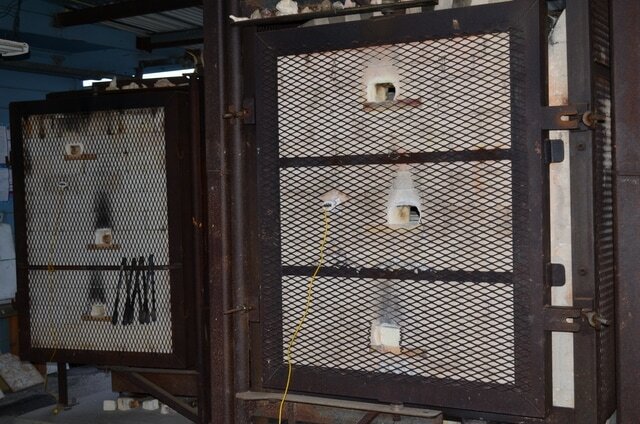 Our electric kilns are used for bisque-firing and low fire glaze firings and are fired as needed. Our two gas kilns are fired on a weekly basis. Our raku kiln is fired by members specializing in raku ceramics. 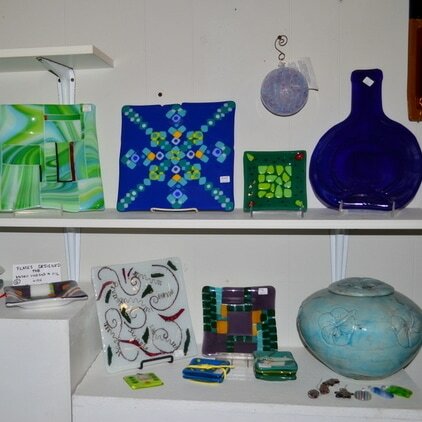 Fused glass classes are taught throughout the year. 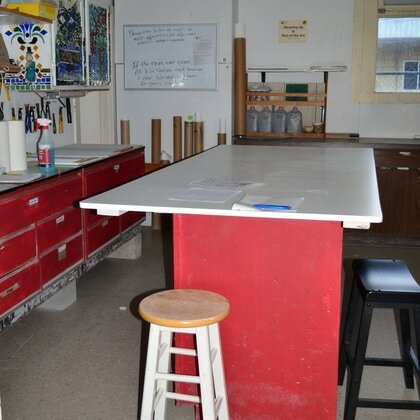 A sign up sheet is posted and an instructor will contact interested persons about class scheduling. 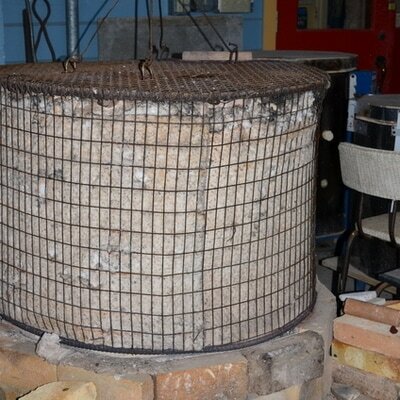 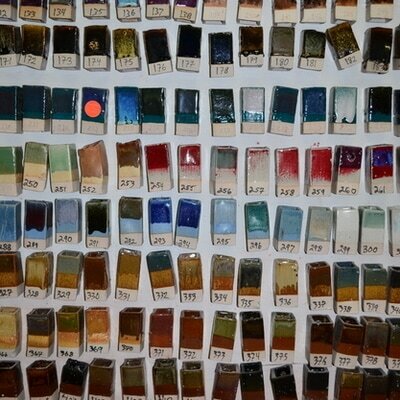 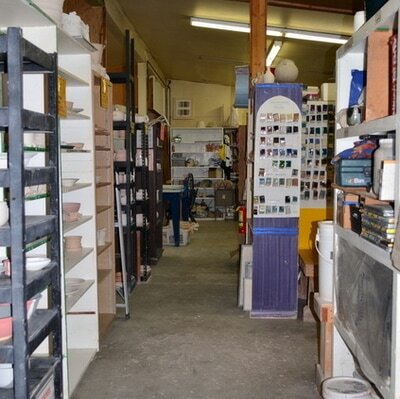 ​We have glass members who fire the large glass kiln as needed or by reservation.